There's no denying that gaining admission to PA school is becoming increasingly competitive every year. While we can discuss what you can do to become the best applicant possible, many believe it's impossible to go straight from undergrad into PA school. And that's not true! You can find many of these stories in our "Accepted!" post series, and I was one of these students myself. There are still plenty of applicants who are accepted into PA school while finishing their degrees, and you can take some actions if that is your goal. Once I decided I wanted to go to PA school, my priority shifted to making sure I was meeting all of the requirements, and that I would have them complete in time to apply during my senior year. This meant taking a CNA course on the weekends so I could gain some hands-on patient care experience. (Find programs in your area now!) I had to be very organized when it came to choosing courses, and I had to take some summer classes to meet the deadlines. While that meant giving up some of my free time, it was all worth it once I was accepted to PA school. At one of my interviews, an interviewer even commented that for my age, my application was impressive. It was nice to hear that they took the fact that I was still a full-time student into consideration when comparing me to people who had many more hours than I did. Go ahead and make a list of the programs you're interested in, and figure out what you'll need to meet their requirements. That will help you in making a plan. You could also consider a Pre-PA Assessment if you're unsure of what you should do to become competitive. Each program is different so that may take some time. They should have this information listed on their websites. 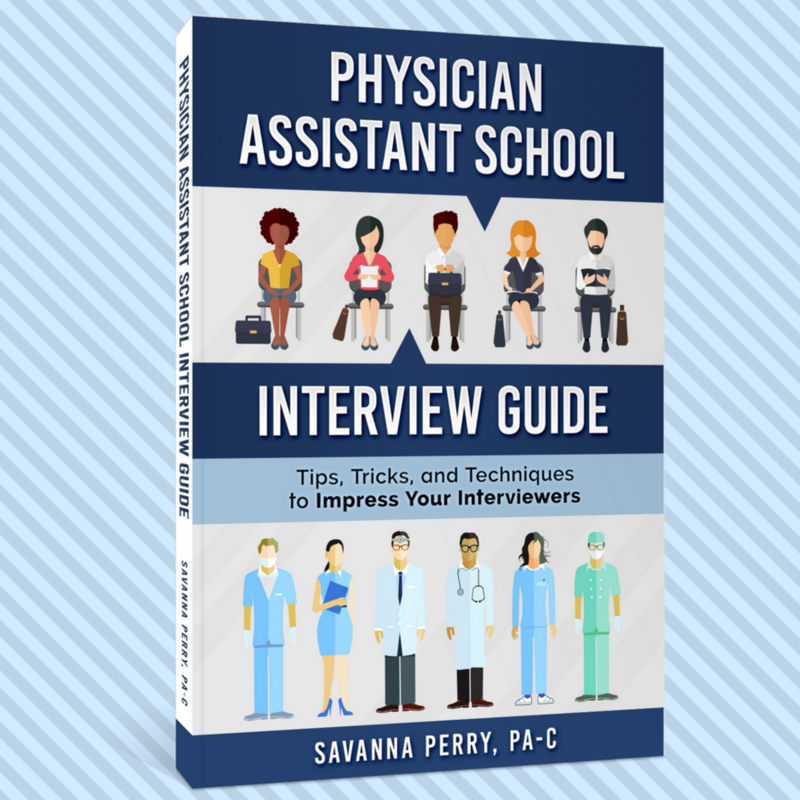 If that seems daunting, you can find all of the program's requirements and stats condensed into the Applicant's Manual of Physician Assistant Programs (affiliate link). When it does come time to apply, make sure you get your applications in early. That's one of the best ways to ensure that your spot for an interview because most programs have rolling admissions. That means they look at applications as soon as they are complete and start giving out interviews and filling the class, even if it's before the deadline. On your application, and in your personal statement, it's important to show that even though you are a younger applicant, you are mature and ready to take on PA school. This will be important in the interview as well. Even if you feel like you've done all of these things, it's best to go into an application cycle planning to reapply. Keep working on every part of your application in the event that your first attempt is not successful. If you've put in the necessary work and you can successfully say that you meet the requirements of the programs you're applying to, be confident. There are definitely still plenty of students being accepted straight out of undergrad. If you decide to take a gap year, that's okay too! You've got to do what works best for you, and don't let others discourage your plans. 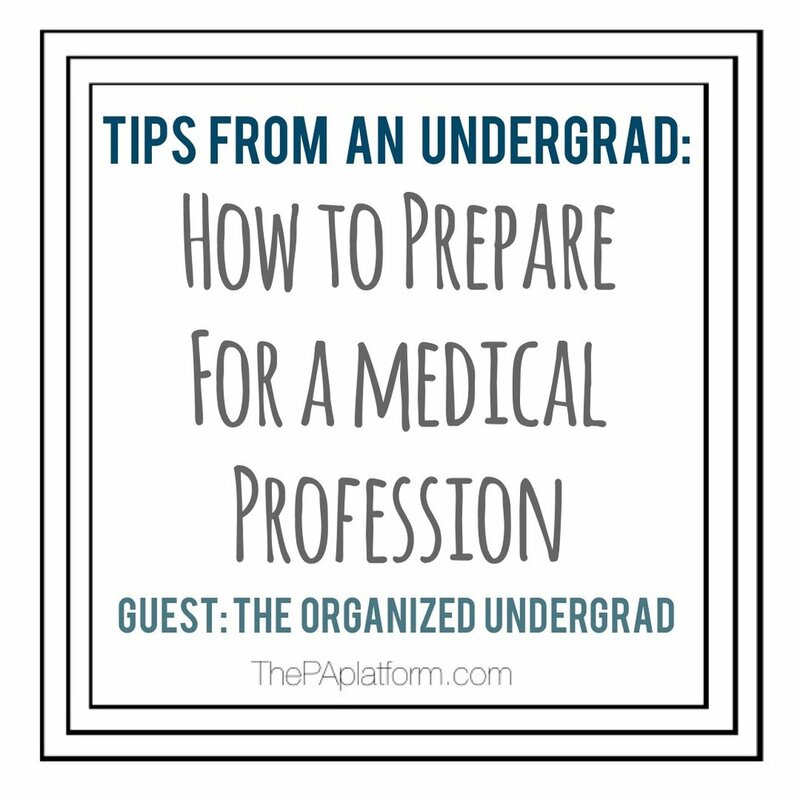 I'm so excited to share a guest post with you from Emily at The Organized Undergrad. 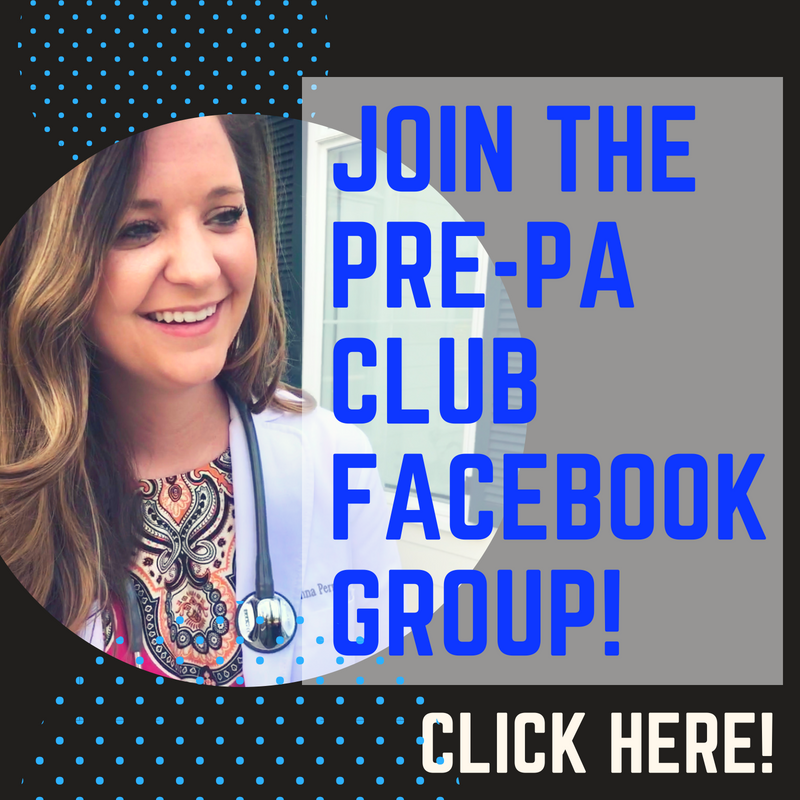 She's doing an amazing job of documenting her journey towards the medical profession, including all of her experiences and process of deciding between PA or medical school. I recently did a post for her about this that you can find on her blog. Hello readers of The PA Platform! I’m Emily and I’m a pre-medical/pre-pa student that runs TheOrganizedUndergrad. I’m currently a sophomore in college and I’m a Health Science major/Human Biology minor. Since I have a full year of undergrad under my belt, I would love to share some insight on the things that I’m doing to better prepare me for the medical profession. First off, I am in a sorority (Chi Omega) and I hold a leadership position as the Director of Campus Activities. This is just a fancy title that means I keep my sorority chapter involved with the school and other on-campus organizations. I act as a liaison between us and the Director of Greek Life, as well as plan various events such as Greek Week. I can’t stress enough how Chi Omega keeps me feeling supported and motivated when I’m stressing about school. It is my creative outlet away from science and medicine. I have also gained a wonderful friend group and support system by joining Chi Omega. Second, I foster good relationships with my professors. Whether you’re pursing medical school or PA school, you are going to need outstanding letters of recommendation. Showing up to class every day, on time, communicating, asking for help, and following through are excellent ways to show your professors that you are worth recommending. Even if you make a sub-par grade in the class, if the professor knows that you have given your 110% effort, they will respect you for that. I also let my professors know that I appreciate them by sending them a thank-you card at the end of the semester. This helps them remember you with a positive impression. If possible, I take multiple classes with the same professor (if they are good!) to help solidify relationships and keep consistency. Third, I think it’s important to keep balance in your academics and extra-curricular activities. I was the queen of “over-doing it” when I was in high school. I spread myself so thin that my grades and my relationships started to suffer. I am keeping myself limited in what I will say “Yes” to during college. I think that maintaining friendships and a social life positively impacts grades and academics. It’s very possible to burn yourself out in college by doing things that don’t really interest you. This spring, I will be taking an EMT-Basic class at my local community college to gain health-care experience and make some money for school. I am very excited for that! Lastly, be brave, it’s amazing what people will tell you when you ask. I reach out to every medical professional that I can about their experience in health care. I have spoken with Nurses, NP’s, Physicians, and PA’s. I have narrowed down that I love the medical model, thus I am deciding between PA and MD. You can’t ever have enough information or perspective, so ask everybody and anybody what their opinions and experiences are. Also, I would caution prospective health care professionals to stay away from websites like studentdoctor.com. They are forum-based and tend to become negative and discouraging frequently. Speak only with people who have real experience and knowledge, rather than someone hiding behind a username. I also wanted to highlight some very cool things that I have seen while shadowing! So far, I have shadowed a Cardiothoracic Surgeon, a Cardiothoracic PA, and an Anesthesiologist. As far as full-length surgery, I saw three CABG (Coronary Artery Bypass Grafting) surgeries and a Cesarean section. I also ran around the surgical unit with the Anesthesiologist and saw small portions of a vaginal hysterectomy, a robotic lung surgery and an abdominal surgery. On my days shadowing the PA, we rounded on patients all morning and I watched as he updated their medications and discharged some patients. He removed their chest tubes and also showed me a patient with subcutaneous emphysema (air bubbles under the skin) and it felt like a rice krispie treat. My best experience was with a patient that had surgery (that I watched) on Sunday morning that had a very high mortality rate. They pulled through and I actually watched them get discharged on Friday afternoon. It was very gratifying to see them make it home. A big thing that I learned from this experience is that I really love talking to patients, and I don’t think that the surgical environment is for me. I start my sophomore year of college in just under a week, and I will (hopefully) be expanding my experiences and learning more about the healthcare profession that I love! Please feel free to contact me through my website, www.theorganizedundergrad.com. I would be happy to answer any questions and would love to hear about your experiences! Meet Emily from The Organized Undergrad! A big thanks to Savanna for inviting me to post on The PA Platform! I'm excited to share a guest post with you from a soon-to-be PA student, Aashna! Make sure to check out her site for more great advice and to follow her journey through PA school. You don't have to be a biology or chemistry major to apply to PA school. I know a lot of applicants that majored in exercise science, HHP, and even in history before applying to Med/PA school. If you are a non-science major, make sure you take all the pre-reqs required for the programs you're looking at. This takes a bit of planning and something your advisor would be able to help you out with. Every year PA schools are becoming more and more competitive and the minimum GPA and GRE scores required keep rising. It's important to keep in mind that the minimum required GPA & GRE scores and the average GPA & GRE scores of the accepted students are two different things. You want your GPA & GRE scores to be either in the same vicinity or higher than the average scores of accepted students. That doesn't mean that you won't get in if you have a GPA that's lower than the accepted average, but it definitely makes you a stronger applicant. Most programs REQUIRE you to have a certain amount of minimum PA shadowing experience prior to applying to PA school. 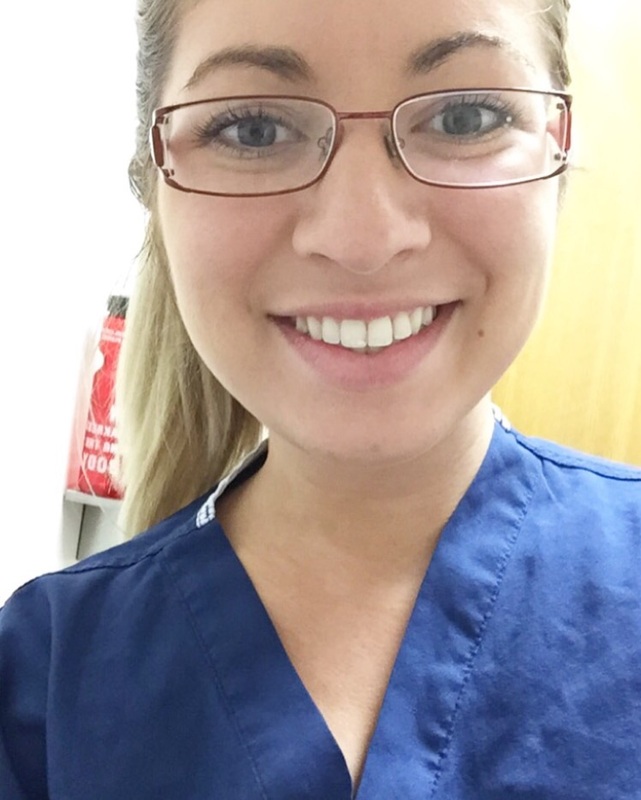 I would suggest shadowing at least two PAs in different specialties so you can a look at what all is out there and if becoming a PA is something you're still interested in. It's a good idea to start shadowing a few years in advance during your summer breaks to accumulate your shadowing hours. Again, depending on the program, volunteering in a hospital or a clinic can count as part of your healthcare experience. It's a good idea to call and ask the program you're looking at what exactly they require. Not all of your volunteering needs to be in a clinical setting. While non-clinical volunteering won't count towards your healthcare experience, it's a nice way for you to show what else you're interested in and are passionate about. 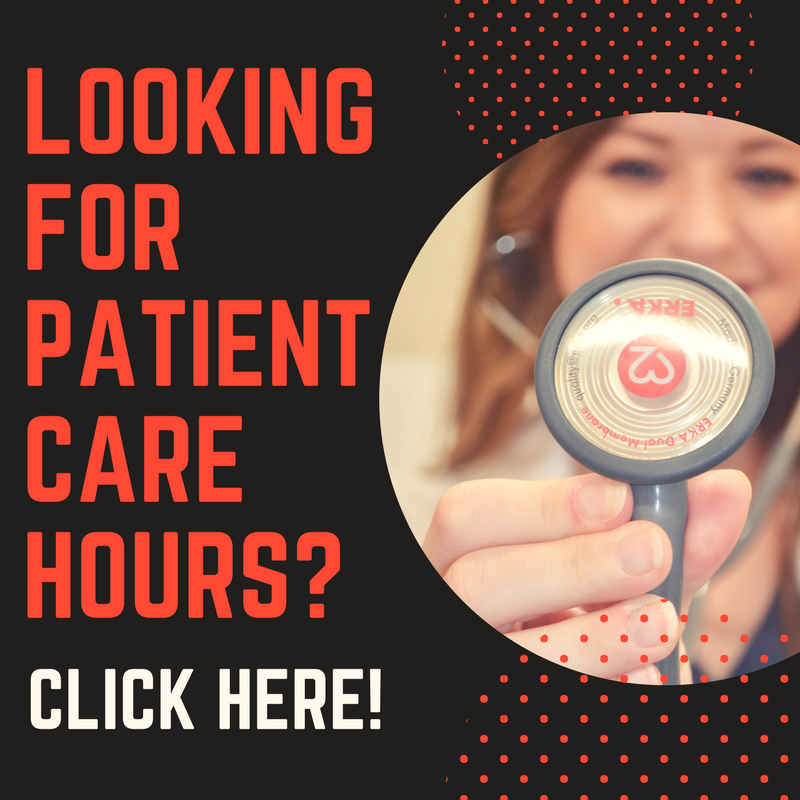 Depending on what program you're applying to, they'll either have a set number of recommended or required hands-on (paid or unpaid) healthcare experience. While one program may accept shadowing and volunteering as part of your healthcare experience, others might not. At some programs, if you have 200-300+ hours of healthcare experience, you are considered a competitive applicant. But there are also programs out there that require a minimum of 1000-1500+ hours of hands-on healthcare experience. Don't let this intimidate you. These programs are usually for people who are considering becoming a PA as their second career. There are plenty of programs that you can apply to that don't require as much experience. At one of my interviews, I was asked if I had any research experience. Although it is not required for you to have done research in order to apply to PA school, it can bump up your chances of getting an interview invitation. And it's even better if you've been published in a scientific journal. If you think you don't have the time to do research during the school year, try to find out if you can conduct research at your university during the summer. Another option is to look up summer internships that might available for undergrads in your area. A lot of people don't think about developing a strong professional relationship with their advisors, professors, or healthcare providers they shadow/work with until it's time to apply to PA school. Try to keep in mind that the people you work with or learn from can write a stronger and more personal LOR than someone who doesn't really know your strengths or your abilities. These are just some of the things I suggest you consider while you're preparing to apply to PA school. It's important to keep in mind that every student is going to have a different background and experience, and that is okay. The admissions committee doesn't expect all of us to be the same. It's also okay to have a gap year or two in between, as I did, and still be considered a strong applicant. As long as you're passionate about becoming a PA and are willing to work hard, you can achieve anything you set your mind to!